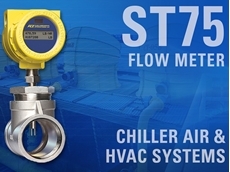 FCI’s ST75 flow meters are ideal for crowded equipment areas in HVAC mechanical rooms or on the factory floor. Mine engineers and operators seeking to recover coal mine methane as a fuel resource and to reduce the effects of dangerous greenhouse gases will find the FCI ST51 mass flow meter from Fluid Components International. 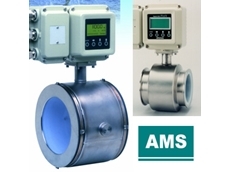 The FCI ST51 mass flow meter, available from AMS Instrumentation and Calibration , provides good measurement accuracy in an explosion-proof instrument that is safe, simple to install, requires no maintenance and that offers an economical low lifecycle cost. With its no-moving parts thermal dispersion mass flow sensing element, the FCI ST51 mass flow meter provides direct mass flow measurement of gas without the additional equipment required with other flow measurement technologies. Its non-clogging sensor design operates over a wide flow range with low-flow sensitivity, and the meter’s calibration is matched to the user’s actual gas composition and installation conditions. This proven, rugged design is suitable for wet, dirty coal mines and coal bed methane gas recovery environments. Coal mining operations are a major contributor to the greenhouse gas pollution that results in global warming. There are three major sources of coal mine methane: degasification systems (drainage) both pre-mine and gob, ventilation air (VAM) and abandoned or closed mines. As requirements for pollution abatement increase, coal mine methane gas is an attractive fuel source for co-gen electric power. Precise measurement of methane gas also is required for methane oxidizer systems and to provide data for incentive credits. The FCI ST51 mass flow meter is ideal in mining methane gas recovery applications. It features an insertion-style flow element with flow accuracy to ±1% of reading over a broad flow range from 0.08MPS to 122MPS, and repeatability of ±0.5% of reading. It is suitable for line sizes from 51mm to 610mm diameters. The FCI ST51 mass flow meter operates over a wide turndown range of 100:1, which is essential due to the variable gas flows in mining operations. It operates at temperatures from 0ºF to 250°F or -18ºC to 121°C and withstands pressures up to 34 bar (g), 0.08MPS to 122MPS, and repeatability of ±0.5% of reading. The FCI ST51 mass flow meter’s flow element is constructed with a 316L stainless steel body and Hastelloy C-22 thermowell sensors to resist corrosion. It is approved for use in hazardous environments with approvals that include: FM, CSA/CRN, Class 1, Div 1, Groups B, C, D; Class 1, Div II, Groups A-D, ATEX Zone 1, II 2 G Ex d IIC T6 …T3, and IECeX II 2 D Ex tD A21 IP67 T90°C to T300°C. 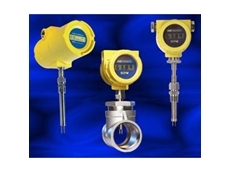 For applications flexibility, the FCI ST51 mass flow meter is rich with outputs for user interfaces and information. Dual 4mA to 20mA analogue outputs are user assignable to flow rate and/or temperature, and there is a 0kHz to 1kHz pulse output for totalised flow. The transmitter’s digital communications include an RS-232C port, and with units that have the digital display option there is a wireless IR link for PDA use. 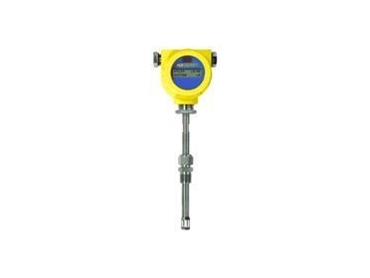 In applications with difficult access or display readability, the FCI ST51 mass flow meter’s flow transmitter is also available in a remote mount configuration that can be mounted up to 15m away from the flow element inserted the pipe. Both the remote mount and integral transmitters are housed in an aluminium enclosure that is NEMA 4X approved and meets IP67 requirements for water and dust ingress protection. 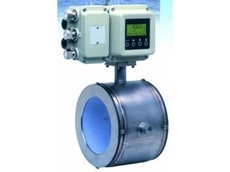 Input power for the FCI ST51 mass flow meter can be selected as either 18V to 36V DC or 85V to 265V AC.